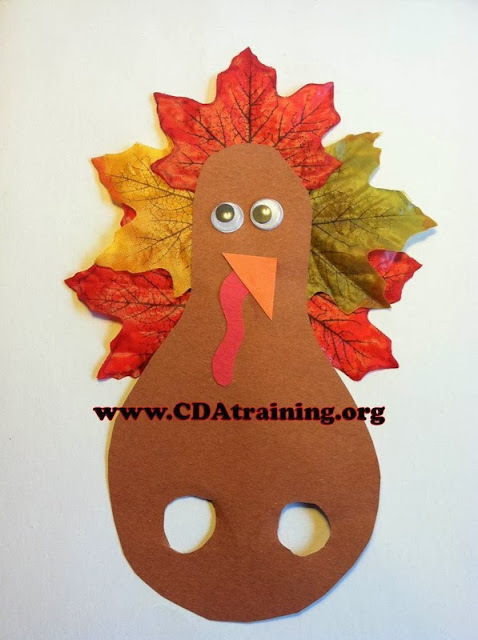 Directions; Make a paper pattern for the turkey body. 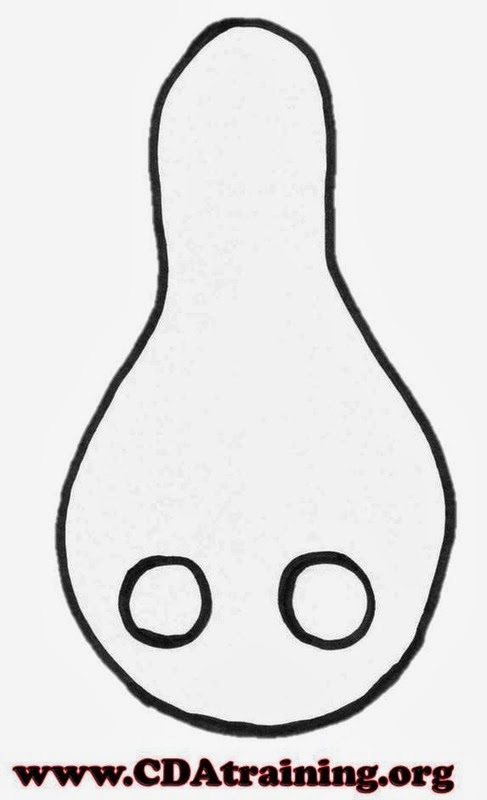 If you choose to draw your own body; Draw 2 holes near the bottom of the body big enough for fingers to fit through. If you need a pattern, use the pattern below to trace the body shape. Cut it out. 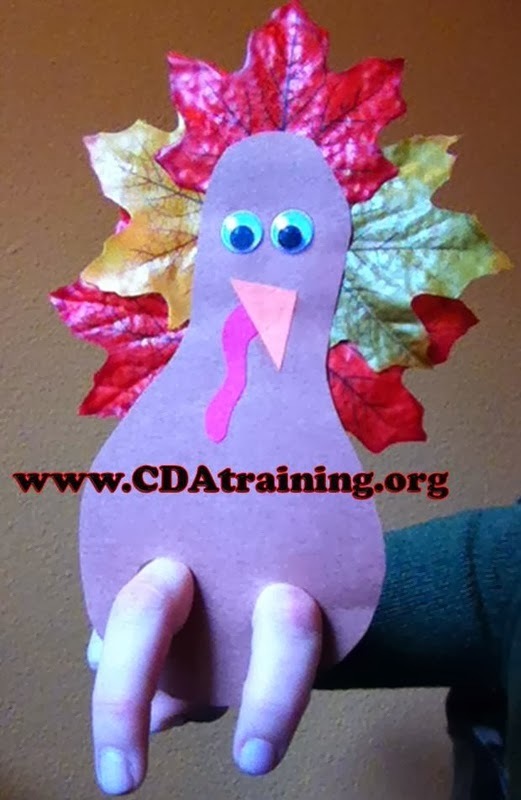 Trace the turkey body onto the brown craft paper. Trace the leg holes, too. Cut the turkey out. Cut out the leg holes. Draw a beak on the orange craft paper. Cut it out. Draw a wattle on the red craft paper. Cut it out. Glue the eyes, beak and wattle onto the turkey. Glue on the feathers. Once the glue is dry, or hard, or cool, the turkey is ready to be played with.